Finally, after three weeks of hard work, our robot has begun to take shape! Our design team has completed the CAD model of the drive train and we are breaking up into subteams to begin building the many systems that need to work together to form a finished robot. 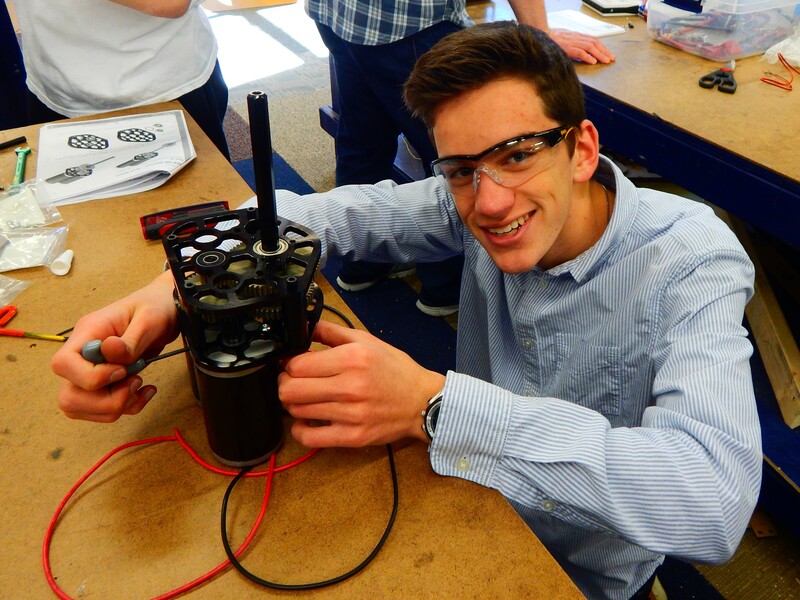 As we reach this turning point in the season, the students who have been working on our prototypes will move into new groups and start to specialize, either in our fabrication, electronics, or programming groups. The fabrication team is made up of the largest percentage of our students, and will act as the team leaders as everyone converges to put together the final robot. This group will bridge the gap between our prototypes and the final robot design, helping the design team see if there are any subsystems that need to be revisited as the robot is assembled. 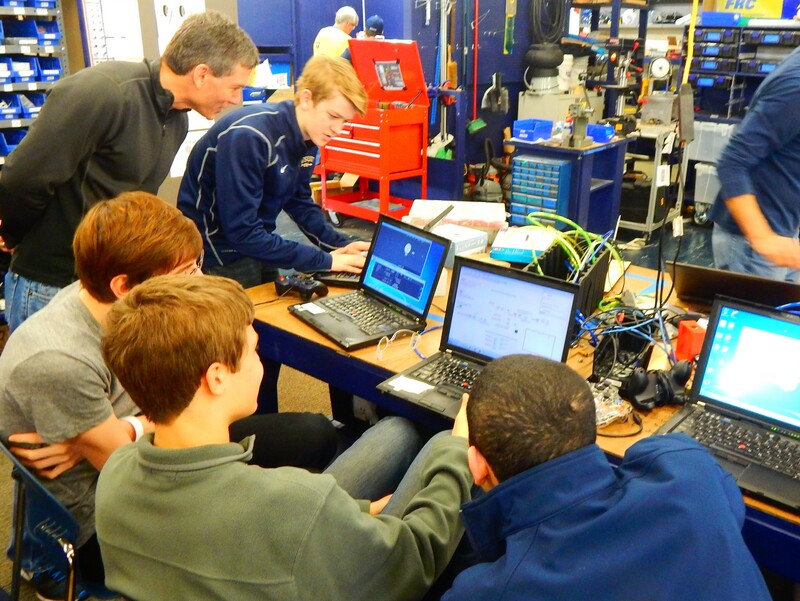 Recently, they have been assembling our drive train, and putting together all the gearboxes to help it run. As we finalize the design, this group will be working on assembling the mechanical systems that will be used in our robot. Another important team that has been very busy recently is our programmers. This group of students has been exploring lots of ways that sensors could be used on this years’ robot. They are using the chassis that was provided in the FIRST kit of parts to practice coding, driver control systems, and sensor programming. Some of the sensors they have been toying with include a Pixy camera and a LiDAR range finder on the robot. Each member of the team has to learn how to program and interface with each of the possible control systems, and will continue to build their skills by watching online video tutorials and working with mentors. Once they have a firm grasp of all the programming, the sensors will be installed on the robot and debugging their code for competition can begin. 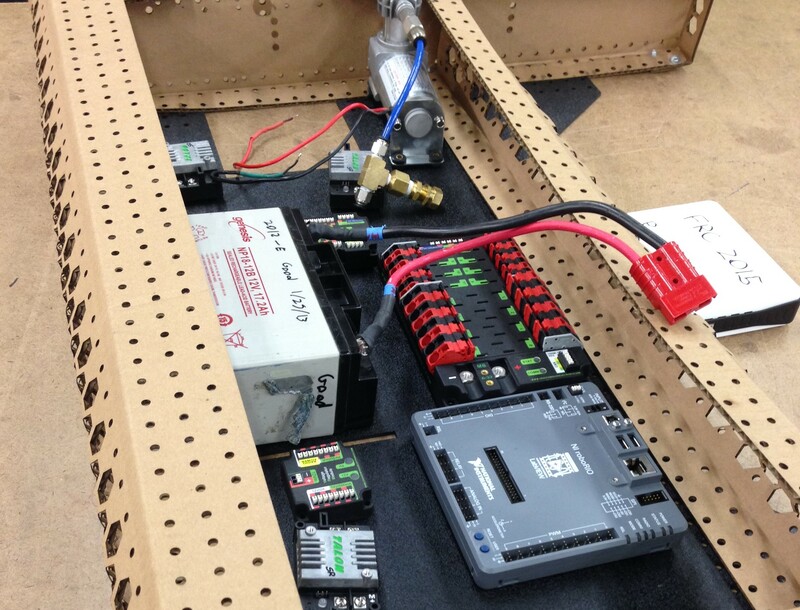 Our electronics and pneumatics team has begun the process of designing and laying out the wiring system for the robot. While we were still waiting for our aluminum drivetrain to come back from fabrication, they cut a cardboard model of the drivetrain with our laser cutter. This gave the team a template to begin laying out the components within the allotted space. Once we received the drive train parts, they were immediately able to start adapting their model to the actual robot, and we had a drivable chassis within two days of receiving everything. Moving forward, they will continue to develop the pneumatics system so that it serves all the needs of our current robot design. Looking ahead, the entire robot needs to be completed by Tuesday, February 17th, also known as “bag and tag” day. On that day, the entire robot is enclosed in a giant plastic bag and tagged with an official FIRST ziptie to close the build season. The build process will continue to speed up as we get closer to bag-and-tag day, with more effort and time going in each day. We have a pre-bag scrimmage planned for Saturday, February 14th (yes, even Valentine’s Day will be spent with the robot) where we will have a full field set up at our school to play against other local teams and help shake out any final robot issues. The next few weeks are some of the most exciting as our robot takes shape. We look forward to sharing more about our robot as everything gets finalized.